You start out with 10 Credits, if you run out, simply hit the "BACK" button on your device and start again. It has 2 BONUS Games, a Hi Lo Game, and a FREE Prize BONUS! Get any 2 and win a credit. 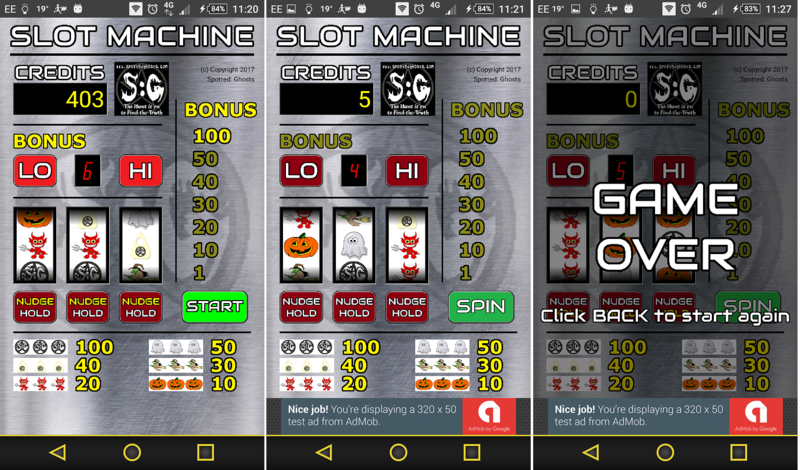 Get any 2, 3 times in a row and get into 1 of the bonus games. Get any 3 and win the amount of Credits for those 3 fruits. Get any 3, 2 times in a row and get into 1 of the bonus games. 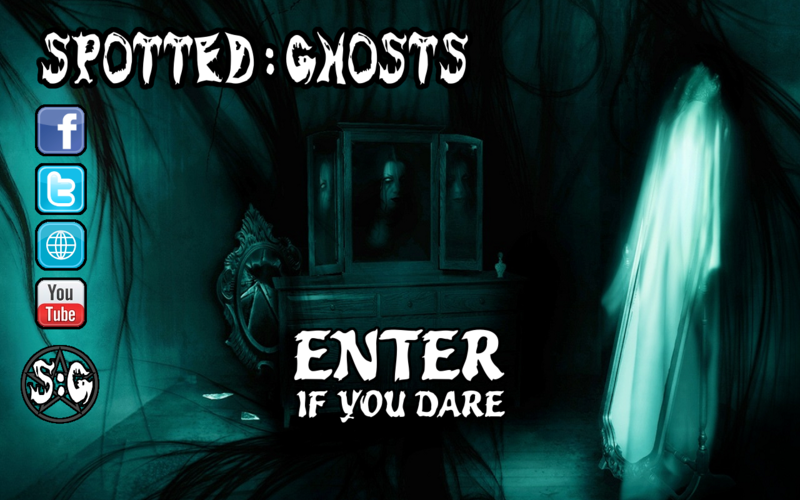 Get 3 Spotted Ghosts logos, win 100 Credits and get into the FREE Prize Bonus Game. Don't forget to Hold or Nudge if you can, but only if you need too! Look at the number between the HI and Lo buttons, choose whether the next number will be higher or lower than that number. If you choose high and the new number is higher then you win a credit, if you choose lower and the new number is lower then you win a credit. Stop the flashing Credits by hitting the STOP button, which ever Credit you land you, you win! Play against your phone or Tablet in 1 Player mode. Play against your friends (on the same device) in 2 Player mode. 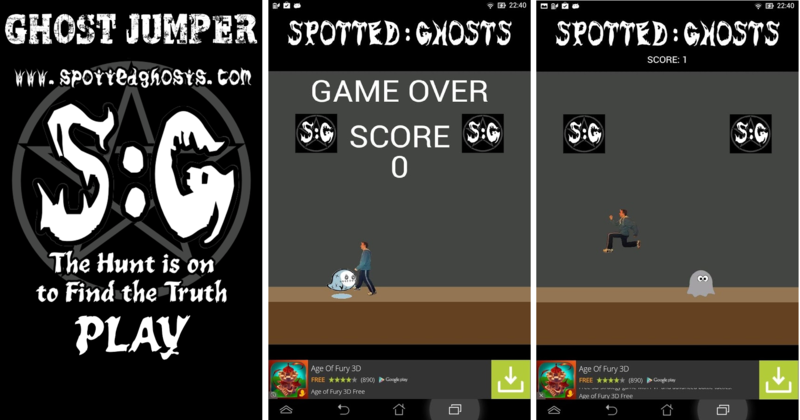 Starring the creator of Spotted Ghosts, you need to help him jump over the ghosts before they get him! 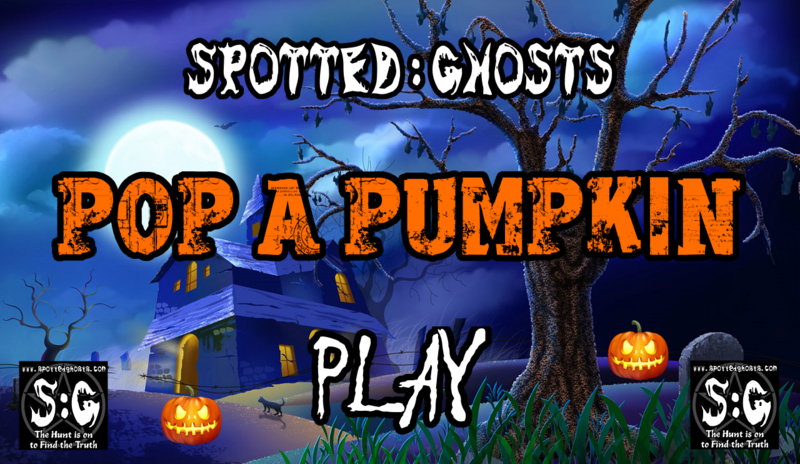 This is Spotted Ghosts 3rd game, Pop A Pumpkin. Can you Pop the Pumpkins before you run out of time? Each level gets quicker and faster! Can you complete the game and score 100? 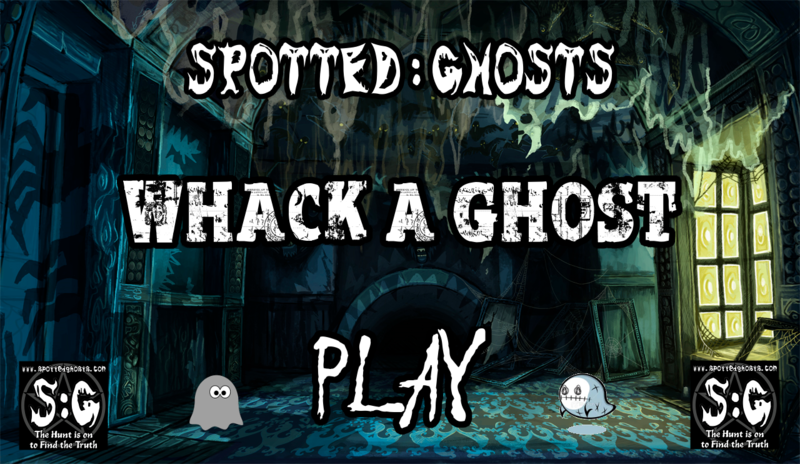 This is Spotted Ghosts 2nd game, Whack A Ghost. Hit the Ghosts before you run out of time? Turn off the lights, make sure it's dark and prepare to be scared!! 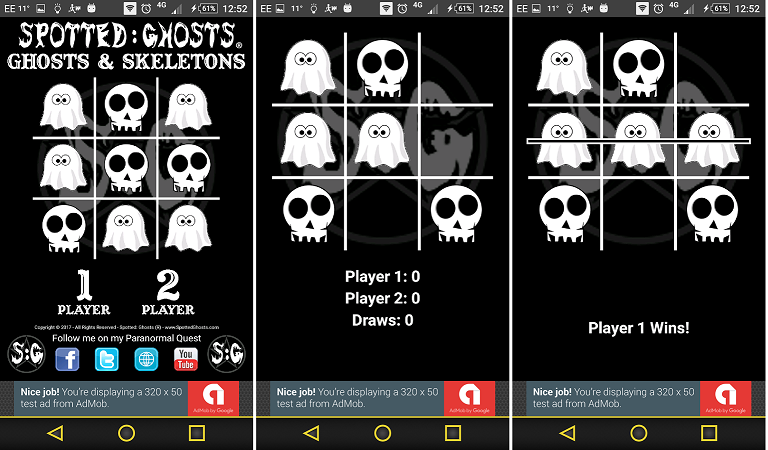 Our Augmented Reality Ghost Hunting Scare App WILL Scare you! We take no responsibility to you or anyone that uses this app. Don't forget to record on other devices at the same time to get the true GHOST HUNTING SCARE experience! Do NOT use this if you are pregnant, or a weak heart, or scare easily (or any other form of disposition). Again, we accept NO responsibility to anyone that uses this app.